Why is Darryl Henley Still in Prison? News item, July 13: In conjunction with a bipartisan effort to reform the criminal justice system, President Obama commuted the sentences of 46 non-violent drug offenders, many of whom had been serving lengthy federal prison terms under mandatory sentencing guidelines established in the ’80s and ’90s as part of the so-called War on Drugs. According to The Washington Post, since the Obama administration announced plans last year to commute the sentences of certain non-violent offenders, more than 35,000 inmates, 17 percent of the federal prison population, have applied for clemency. 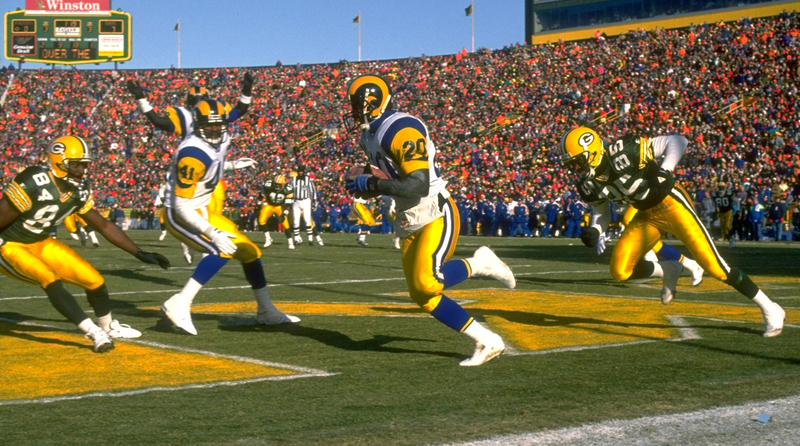 YAZOO CITY, Miss.—When Los Angeles Rams cornerback Darryl Henley was convicted 20 years ago of conspiring to traffic cocaine, it deeply injured the hundred or so people closest to the formerly highly regarded hometown hero—and elicited a yawn from everyone else. Back in 1995, we were too enamored with Cochran, Clark and Court TV to notice the blurb about a second Henley juror who admitted using methamphetamine throughout the trial, or a third Henley juror who had not only discussed the case with the other two misbehaving jurors during their daily carpool, but had showed up unannounced at Henley’s home a week before the verdict to tell Henley that the meth-abusing juror would vote for Henley’s acquittal in exchange for $25,000. The clean-cut, diminutive (5–9, 170-pound) Henley had been by far the most difficult among the five defendants to convict, according to the eight jurors I interviewed while researching Intercepted, the book I wrote in 2012 about Henley’s rise and fall. His limited involvement in the drug scheme, his promising future and his tidy, educated demeanor made it difficult for jurors to condemn him to the mandatory minimum of 10 years in federal prison. But the main roadblock for jurors was what one of them called “the why of it. It made no sense. Why would he do this?” The other defendants (except Henley’s uncle Rex, characterized by the evidence as a dimwitted bystander), had rap sheets and previous drug convictions. These three defendants—Rafael Bustamante, Willie McGowan and Garey West—were released from prison more than 10 years ago, yet Henley remains inside the Federal Correctional Institution in Yazoo City, Miss., with at least 16 more years to serve. Yazoo is a low-security facility. 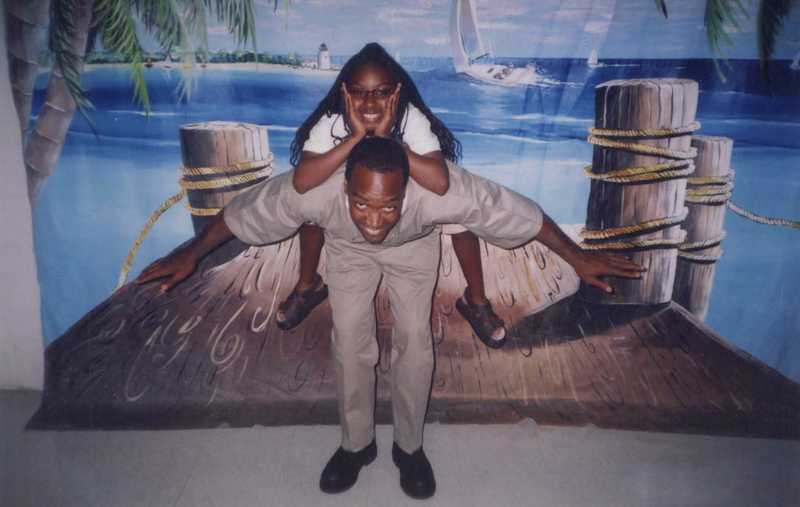 Henley, now 48, earned a transfer there by keeping his head down during the years he spent at two of the worst federal prisons in the country: USP Marion in Illinois and ADX Florence in Colorado—and by using the education he gained in parochial schools and at UCLA (where he graduated with a history degree in 1989) to help inmates earn their GEDs. A unanimous First Team All-America as a UCLA senior in 1988 (Deion Sanders was the other corner on that All-America team), Henley was the Rams’ starting right cornerback for the last four of his six NFL seasons. He started the last game the Rams ever played in Anaheim, on Christmas Eve ’94 against Washington. The opponents that day had a 5-9 corner of their own, Darrell Green, who would end up in the Pro Football Hall of Fame and who recently began the long process of producing a documentary film about Henley. Green, who resides in the D.C. area, is also eager to make the White House aware of Henley’s story, including all of its trap doors and tunnels. Henley should have known something was amiss when—after he told Joey Gambino that he didn’t have any up-front cash for the drug deal—Gambino offered to murder “the cheerleader” (Donaho) and the presiding judge, Gary Taylor, and to take his fee for these hits out of Henley’s imminent drug earnings. No need for any front money, Gambino said. Instead, enraged at the injustices he felt had been committed at trial and humiliated by the shame he had heaped upon his family, Henley agreed to this deal during a cell phone conversation that, like all the other ones, was recorded by Joey Gambino—who wasn’t a Mafioso at all but an undercover DEA agent with a voice like Don Corleone’s. The convict on Henley’s cell bloc who had put the fake mobster in touch with Henley was an informant who was released from prison the day Henley was charged with murder solicitation and heroin trafficking. Five years later, when the Ninth Circuit ruled that the racial bias on the Henley jury warranted a deeper look, the presiding judge and prosecutors on Henley’s case quietly made the whole thing go away by releasing Henley’s co-defendants, who had served a fraction of their 12- to 18-year sentences. Henley, however, stayed locked up because he had given up his right to contest the trial verdict as part of his guilty plea in the DEA-invented drugs-for-murder scheme he agreed to with “Joey Gambino.” Henley’s sentence, with the new conviction tacked on, totaled 41 years. And so here he is in Yazoo City. The case for reconsidering Darryl Henley is not an outraged declaration of his innocence. It merely asks whether the 20 years he has served for his crimes so far, when all of the circumstances are weighed, has been punishment enough. It asks that President Obama and his advisers weigh the idea of commuting the remainder of Henley’s sentence the way he commuted the sentences last month of 46 other inmates who were condemned to decades of federal time for non-violent drug offenses. It is a case for rethinking the complex and serpentine facts within Henley’s downfall—including his indefensible crimes and his hubris, the trait that by all accounts led to his downfall, and which by all accounts (including the Bureau of Prisons), has faded over the last 20 years into a quiet peace that lingers on him between visits from his elderly parents or his only daughter, who is now in college. The case for reconsidering Darryl Henley is a case for asking: Why 41 years when Henley has never fired a weapon or struck a person (other than on a football field) in his life? Why is Henley’s release scheduled for 2031 when Rae Carruth, the NFL receiver convicted in 2001 of conspiracy in the murder of Cherica Adams, who was pregnant with his child, is set to get out of prison in 2018? The case for reconsidering Darryl Henley is also a case for examining the word entrapment and seeing if it applies to what happened among Henley, the jailhouse informant and “Joey Gambino” in the spring of 1996. It’s a case for asking whether the DEA—whose chief, Michele Leonhart, stepped down in April in the wake of her handling of a prostitution scandal involving DEA agents in Colombia and a rift between her and Obama over the president’s revised, more tolerant position on marijuana—might have made a few mistakes of its own over the years. It’s a case for Henley’s only child, Gia, who against all odds has forged a trusting, loving relationship with her dad over the years, and has not let the sordid events surrounding her birth deter her from pursuing a college degree, first at Cal State-Los Angeles, and now at the University of Houston, where she transferred this summer so she and her dad could live closer to one another. It’s a case for the love that inspired that move and the hope she holds of embracing her father as a free man for the first time in her life, sometime before she is 36 and he is 65.